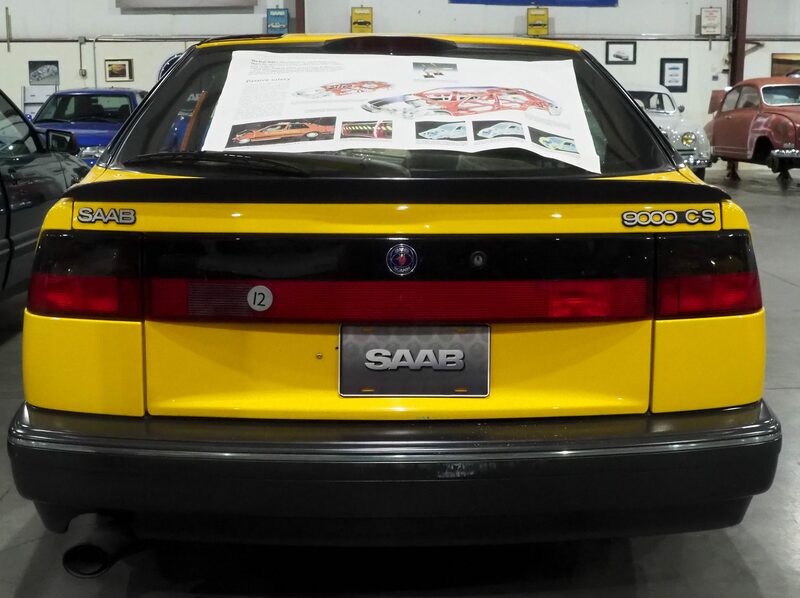 Used in 1993 at the New York auto show as a centerpiece of the safety features hidden beneath a sturdy Saab 9000. 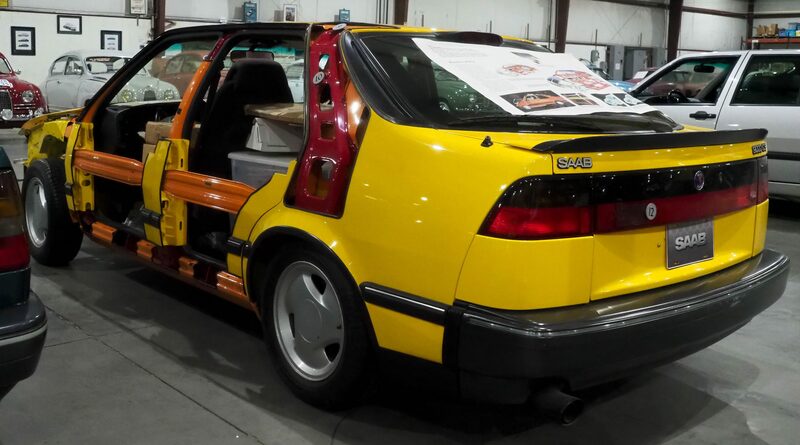 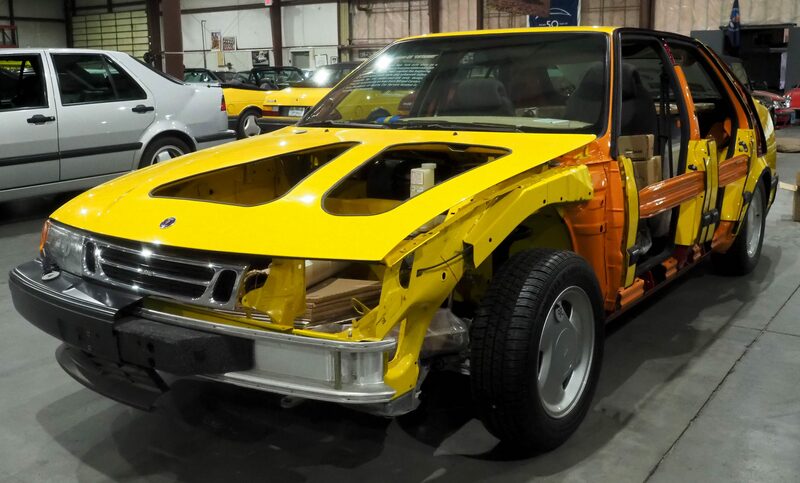 1993 marked the beginning of a revamped body style and enhanced safety features for the seven-year-old body design. 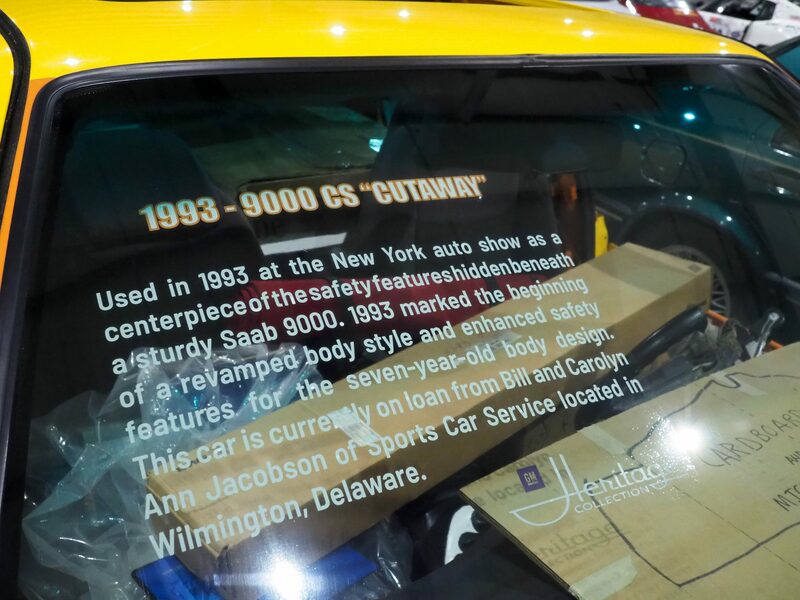 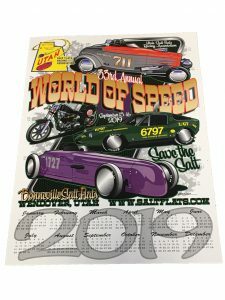 This car is currently on loan from Bill and Carolyn Ann Jacobson of Sports Car Service located in Wilmington, Delaware.